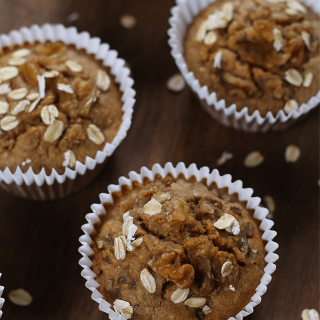 Banana Oat Muffins that are healthy, moist, gluten-free, and so easy to make — it’s made using a blender…. It has been a hell of a week that started with a really bad weekend. Weekend was when typhoon Ompong happened and we found ourselves with no electricity because an old ratty t-shirt got stuck in our power line. I’m guessing it caused a short-circuit or something that left us without electricity. If you’ve been following me in my Insta-story you’ve probably seen peanubutter♥ and I having candlelit coffee at 4am last Saturday. We called Meralco (that’s the power company) and it was only after two days and seven calls were they able to send someone to take care of our power line. We weren’t able to do anything — no work, no play, and we couldn’t leave the house because we were waiting– and hoping — for the repairmen to arrive anytime. Good thing power came back monday, just in time for school week. Next problem — broken washing machine which we’ve yet to take care of. On top of that, I’m feeling a little down too. I’m feeling sluggish and sad — like I-don’t-wanna-work, I-don’t-wanna-do-anything, all-I-want-is-to-sleep-all-day-sad. Maybe one is reason is because I gained back some of the weight I’ve lost and I’m having a hard time losing it again. But despite all these things that’s going on in my head, life needs to go on — even the cooking. Ang tatakaw kaya ng mga tao dito sa bahay. (that’s why it’s so hard to lose weight! waaahh). I remember the last time I made Apple Muffins. It came from a boxed mix. 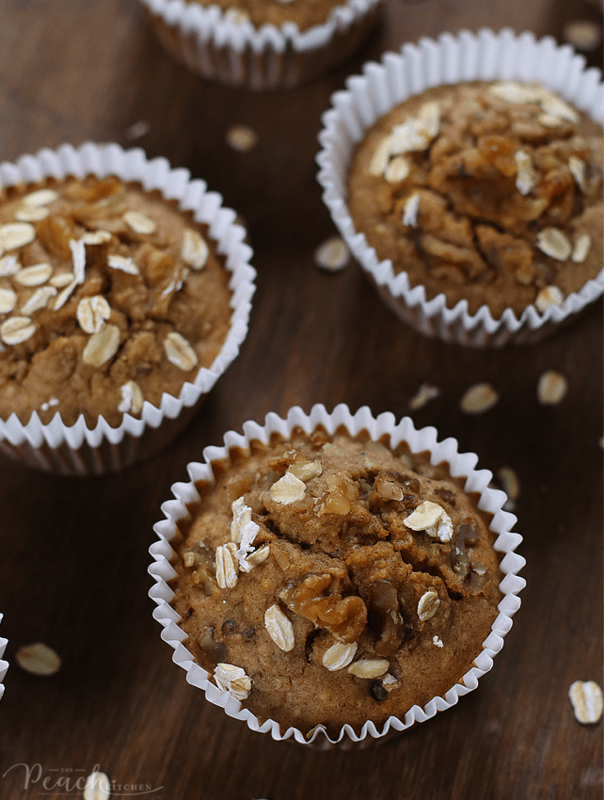 So in an effort to make healthier ones, I tried this Banana Oat Muffins which uses old fashioned oats instead of flour. It’s my first time to use oatmeal in place of flour. 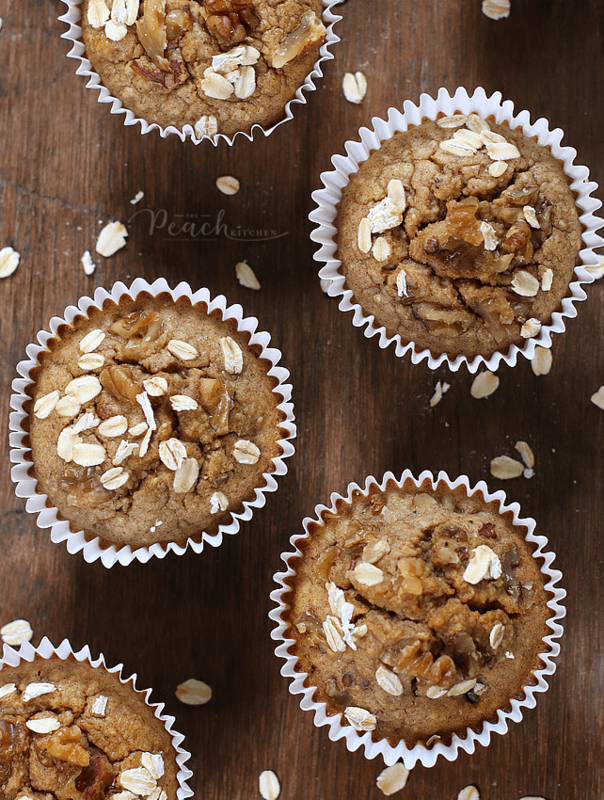 Since we all love oatmeal here at home I figured they will love something that’s made from oats as well. I also didn’t use any sugar but put a little bit of honey. I thought since there are four bananas in it, it’ll be already sweet. Well, it turned out okay — for me. peanutbutter♥ and Ykaie preferred it a bit sweeter and even though they ate a couple, they told me it was too healthy for their taste. Whatever in the heavens that means. So. I’ve made a mental note not to make any muffin out of oatmeal again. Hmmm..I wonder if they would like something that’s made with almond flour or coconut flour, instead? While his is brewing in my head, I thought of making a change in my daily routine. Maybe that’ll stir up motivation, excitement, or inspiration in me. Will tell you more about this soon. For the meantime, I’m leaving the recipe here ’cause, I don’t know, maybe you wanna try it for yourself and end up liking it. Preheat oven to 350ºF and line a cupcake tin with a cupcake liner. Fill each cupcake liner up to ¾ full with batter. Bake at 350ºF for 30 minutes or until a toothpick inserted in the center of the muffin comes out clean. Serve warm and makes for a nice school baon for the kids. ♥ If you make this recipe, be sure to snap a photo and tag @thepeachkitchen on Instagram (OR hashtag it #thepeachkitchen). I’d love to see what you cook! Wow really nice and amazing recipe with full of nutrients. Many Thanks for posting this recipe, I will must try to home. I appreciate this recipe with all healthy ingredients.